Yet another reversible bucket hat from the Oliver and S pattern that I sized up long ago. Finally finished for the walk and admired by a passing walker (wearing a baseball cap and envious of its superior 360 degree shade). Then it was left in the park the very next day and is now waiting safely for collection at my friends house. Sigh. We have been without a boiler in our house for over a week now (and more than 2 weeks left to go until the plumber can “squeeze in” fitting our replacement). We have a couple of electric heaters, but, err, my sewing room is too untidy to squeeze one in so consequently my sewjo has taken a big hit. It also means that clothes are hard to dry (we don’t have a tumble dryer, not normally an issue but when the house is cold and the sun aint shining it does slow things down rather). 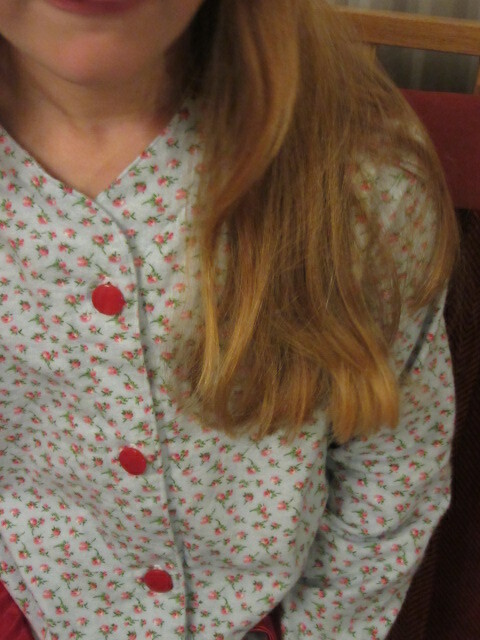 It also means that even my normally hot blooded daughter wants to wear winter pj’s in bed. 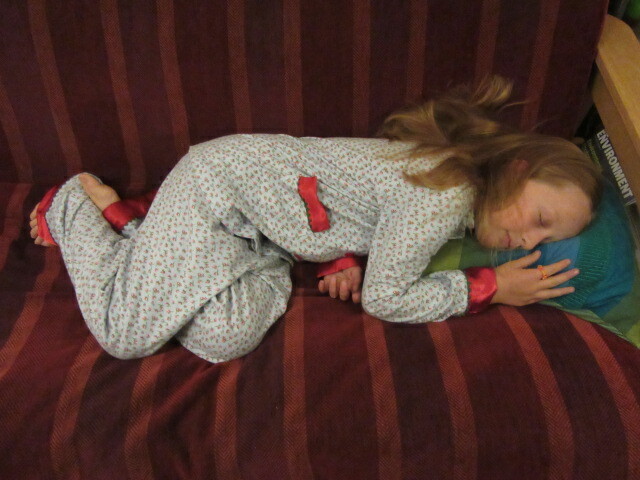 So, one pair of long pj’s still damp + one pair ripped + one tired girl = tears. And tears = guilty mamma. 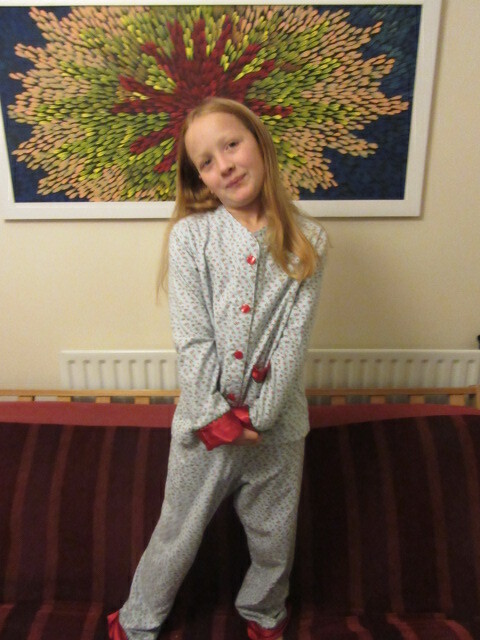 So, I this evening, to prevent more tears, I got off my backside and sewed up a replacement pair in the next size up (no point making something she’s about to grow out of right? 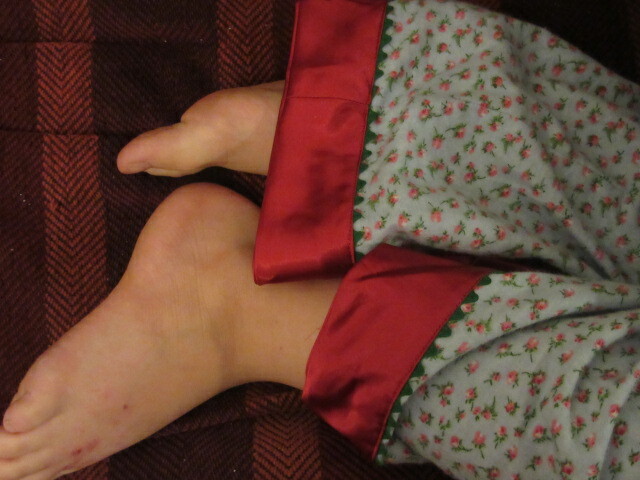 ), with french seams none the less. I tapered the bottom of the legs to the width of the size below so that I could harvest the cuffs from the old pair and just sew them on. I simply finished the raw edges on the new pair with a zig zag, cut off the cuffs from the old pair about a cm about the join, turned the raw edge under, pinned it on top of the new pair with an overlap and then sewed them on. 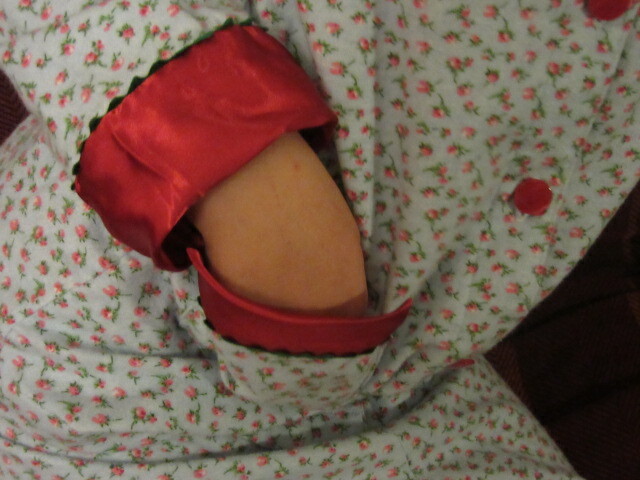 I didn’t harvest the waistband (too small, too complicated), but to make up for it I added a little bunny to the inside at the back. I was rewarded with a happy dance, big smiles and a cuddle.